Some of the ladies on "The View" Tuesday mocked Vice President Mike Pence's Christian faith, saying they don't want a leader who "speaks in tongues" or reportedly hears the voice of Jesus, which Joy Behar said was tantamount to "mental illness." During a segment on the daytime talk show called "hot topics," the ladies discussed comments made by former White House staffer Omarosa Manigault Newman, who is now a contestant on the reality TV show "Celebrity Big Brother." Newman, who left the Trump administration in December and is reportedly working on a book, told her fellow competitors that they should fear a potential Mike Pence presidency. "As bad as you think Trump is, you would be worried about Pence. Everyone that is wishing for impeachment might want to reconsider their life," Newman said in a clip that aired on "The View." "I am Christian, I love Jesus, but he thinks Jesus tells him to say things," she said, calling him "extreme." Co-host Sunny Hostin summarily remarked that she went to law school in Indiana, where Pence was the governor from 2013–'17, and claimed that he is a "hated figure" there. She added that although she is a "faithful person," and Catholic, she is uncomfortable with Pence putting a "religious veneer" on things. "I don't know that I want my vice president, you know, speaking in tongues and having Jesus speak to him." Whether Pence, an evangelical Christian, actually speaks in tongues is not known. 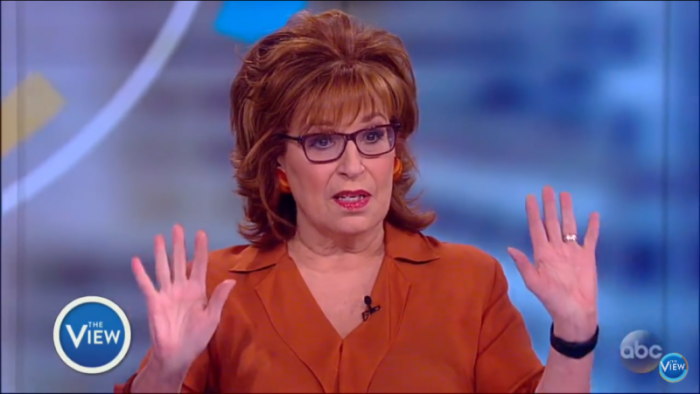 Joy Behar chimed in: "It's one thing to talk to Jesus. It's another thing when Jesus talks to you. That's called mental illness if I'm not correct, hearing voices." "My question is, can he talk to Mary Magdalene without his wife in the room," Behar joked, making a reference to the now widely known fact that Pence does not dine alone with women or consume alcohol at events without his wife present, for which he was mocked in the secular press last year. Guest co-host Sherri Shepard, also a Christian, explained that talking with Jesus is "just par for the course," for Christians. "You talk to Jesus, Jesus talks back. What concerns me is, how long is the conversation with Jesus?" Many did not take kindly to the treatment of Pence's faith on "The View," especially Behar's remarks. "This is disheartening and yet another example of how people who sit in a pew every Sunday are not just misunderstood, but mocked," said CNN contributor Salena Zito on Twitter Wednesday. Julie Roys, former host of Moody Radio's "Up for Debate," wrote on her Facebook page Wednesday that 'The View' segment was "despicable and uncalled for, and should prompt a massive backlash. This is disheartening and yet another example of how people who sit in a pew every Sunday are not just misunderstood, but mocked. "Behar, Omarosa, and everyone associated with 'The View' owes every Christian in this country an apology. And call me crazy, but Jesus talks to me too. I have some reservations about this administration, but Mike Pence's practice of talking and listening to Jesus certainly isn't one of them," Roys said. Robert Jeffress, pastor of First Baptist Church in Dallas and a member of President Trump's evangelical advisory board, said in a Fox News interview Wednesday: "Let's just go ahead and say what we all know is true, if Joy Behar had attacked a devout Muslim for his faith, ABC would have fired her in a nanosecond." "To the Left, when it comes to attacking conservative Christians, it is always open season." Comments like Behar's are the reason evangelicals overwhelmingly supported Donald Trump in the 2016 election, he asserted, as Christians are tired of being bullied for their faith in the public square. "Mike Pence has committed the unpardonable sin when it comes to the Left and that is he still maintains the personal belief that marriage should be between a man and a woman," Jeffress explained when asked why some seem to have such a problem with the vice president's faith. Jeffress said he told President Trump last week that he has become the most "faith-friendly" president in history. He added that he believes if Behar and other left-wing figures want to ridicule people of faith that Trump would not only be re-elected in 2020 but that Pence would be elected president in 2024.